A shiny wrapper for the tempting and tender dark gianduia chocolate cubes with crunchy whole hazelnuts inside. 36% hazelnuts, sugar, cocoa mass, cocoa butter, low fat cocoa powder, whole milk powder, anhydrous milk fat, almonds, emulsifier: lecithin (soya), vanillin (artificial flavouring). Excellent recipe of delicate milk chocolate covered with crunchy "Piedmont hazelnut I.G.P." and delicious Gianduia chocolate. With refined surprise inside. Excellent recipe of very fine dark chocolate covered with crunchy "Piedmont hazelnut I.G.P.". With refined surprise inside. 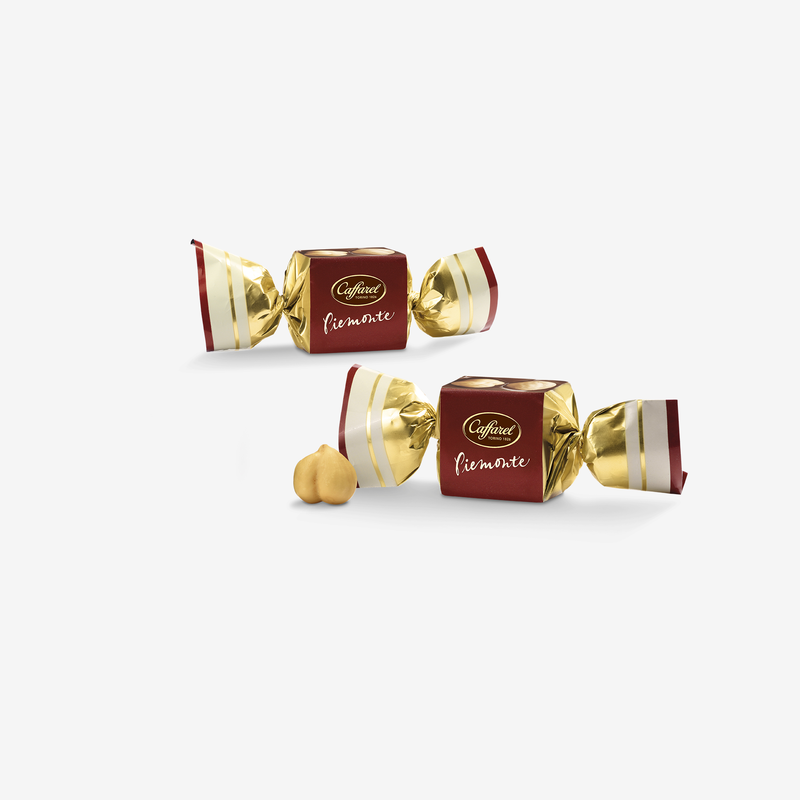 A gold wrapper for the tempting and tender gianduia chocolate cubes with crunchy whole hazelnuts inside.